In 1961, during a broadcast-industry convention, the message public media delivered to the private sector was quite different: In what has become known as the “wasteland speech,” Newton Minow, then-chairman of the FCC, criticized the corrosive effects of commercial media and mapped out a vision for ad-free, publicly supported alternatives. “The people own the air,” Minow reminded the crowd. The efforts of Minow and his fellow social democrats coalesced into the 1967 Public Broadcasting Act, which led to the founding of PBS and NPR, and established the rule that so-called noncommercial educational broadcasters must make clear where their money comes from — but without advertising in order to limit private influence on public airwaves. Since then, the FCC has required that public broadcasters acknowledge their sponsors through underwriting spots — short, neutral, non-promotional messages made for “identification purposes only.” But on the internet, those rules are basically null; there is no publicly owned digital commons to regulate, and the FCC has no say yet over public broadcasters’ websites, apps, or podcasts. “Podcasts are not donated airwaves. They’re podcasts,” Erik Diehn, the vice president of business development at Midroll Media, a podcast media company, told me over the phone. “There’s no exchange happening where the broadcaster has to agree not to take ads because they are being given this grant of a public good.” Midroll Media produces original shows like WTF with Marc Maron and Comedy Bang! Bang! and sells advertising on nearly two hundred podcasts, including shows from Public Radio International (an NPR rival), like Studio 360 and Science Friday. The company’s ads — “integrated, native, often host-read spots” — are hugely effective compared to most internet advertising, so businesses pay good money for them. 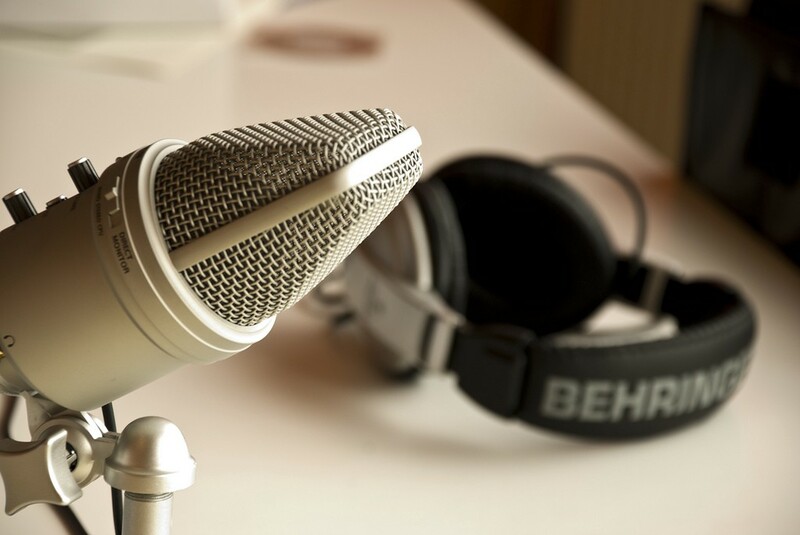 Podcasts, which tend to run one or two ads before the show and two or three ads during the show, can earn around three hundred dollars per ad if they average at least ten thousand listeners. For the elite circle of shows with over four hundred thousand listeners — generally the iTunes Top 50 — a single ad spot can net over ten thousand dollars. While there are a few legal hurdles facing public media’s entry into the free market, for the first time, U.S. public radio will be able to broadcast commercials.1 And because hosts and producers aren’t just offering ad space, but effectively branding content, they are threatening a long-protected public trust. NPR has allowed corporate sponsorship of their podcasts since at least 2003. Back then, funding credits followed on-air rules for underwriting: a short, neutral message, usually at the start of a show. Sponsor, slogan, website. 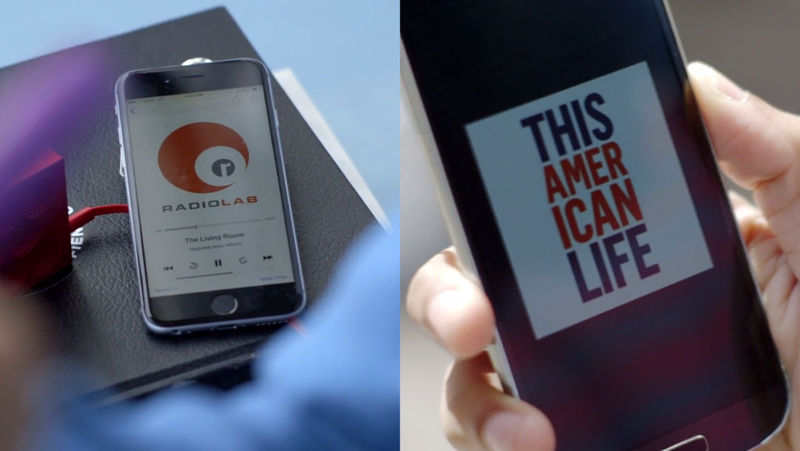 This year, NPR began rolling out longer, more promotional spots, as in calls to action for a business, in the middle of their shows. On Car Talk, Ray Magliozzi makes first-person approvals of products punctuated with his signature laugh. In a recent episode of Fresh Air with guest Louis C.K., an ad for stamps.com — though not voiced by Terry Gross — is scored with music from the soundtrack to Louie. NPR’s new flagship podcast, Invisibilia, runs two thirty-second spots together in the middle of the show, produced with funky music and lively voices that interchange, Radiolab-style. Advertising on public radio doesn’t totally undermine the virtues that make public radio public or worth supporting; we accept ads on city subway platforms and in non-profit magazines.3 However, what makes these ads troubling is that they don’t sound like ads: They sound like public radio. They exploit a special kind of trust listeners reserve for noncommercial educational media — a trust built over decades and deeply connected to the distance producers have maintained from a profit motive — to get listeners to buy things. Advertisements, no matter how relevant or blended-into-the-tone-of-the-show they are, serve only to extract dollars from the listener. Public radio serves a civic good. Mission can become inconvenient sometimes, too much work. Understandably, as an enterprise, we crave success, too. And money. For one thing, those are quantifiable. And this is tricky, because when success and audience numbers and money are the goal, our mission can become a burden. There are easier ways to get money, and we get lazy. … The original purpose of public broadcasting, I think it’s worth remembering, was broadly educational. Education is an unassailable civic good. Think of the old Newton Minow principle: what interests the public ≠ the public interest. Clicking around the internet, it’s clear that we’ve entered another wasteland, only now we face the omnidirectional pressures of data brokers and targeted advertising, of competition for likes, shares, and unique visitors, of the entrepreneurial (journopreneurial?) class’s gospel of monetization. With their “personalized storytelling” and “especially sticky audiences,” podcasts might seem like a “pretty natural fit” for native advertising. But shouldn’t public media, of all things, avoid mixing commerce and culture? Maybe, once the dominant public radio sound — which owes everything to This American Life’s twee first-person storytelling and fake populism — is sold off, a rising generation of listeners and podcasters will want to organize around something different, online. Something more community-minded. Or something that at least takes its audience more seriously. Maybe something closer in spirit to Radio 4, Home of the Brave, PRX Remix, Berlin Community Radio, The Biggest Story in the World, or Paper Radio. A new, more democratic, public media for the internet. What would that sound like? 1. Here are the legal hurdles. First, public broadcasters, like any registered U.S. nonprofits, need to pay tax on revenue from advertisements, defined by the IRS as: messages containing qualitative or comparative language; price information or other indications of savings or value; an endorsement; or an inducement to purchase, sell or use any company, service, facility, or product. Also, according to Jeffrey Tenenbaum, a non-profit tax lawyer, nonprofits can’t raise a substantial amount of money — the number is around twenty percent of total income — from unrelated business, or they risk losing their tax-exempt status. Finally, by inserting ads into their podcasts, public radio stations run the risk of violating contract agreements, like with music publishers who limit use of their recordings to noncommercial purposes. 3. As a case study of one, here are my own habits when it comes to audio-related stuff and giving money. I am a twenty-four-year-old white male whose annual income falls under fifty thousand dollars, and as of May 12th, 2015, I listen to real radio more often than podcasts, but I do subscribe to the following shows through an app called Podspace on my Moto E smartphone, which I usually hook up to a monaural Tivoli speaker around bedtime: Fugitive Waves, The World in Words, Theory of Everything, FACT MIXES, Car Talk, Ideas, 99% Invisible, The Bugle, Short Cuts, Comedy Bang! Bang!, In Our Time, Between the Ears, Love + Radio, Re:Sound, and Radio Diaries. I give five dollars a month to MPBN to support public media in my home state of Maine. I started giving ten dollars a month to WMBR in Cambridge, where I live now, during one of their pledge drives, because I love them and want to help them however I can. I gave forty dollars to Radiotopia’s Kickstarter campaign. I did not give anything to Serial when Sarah Koenig asked for money, not because I was annoyed by the manufactured vox pop commercial but because the show felt like blockbuster entertainment, and I don’t see the point of supporting just one show. Correction: Maximum Fun does not operate as a non-profit.